Oh Monday! I just don't love you like I do Friday, but I'm still looking forward to this week and all that it holds! This week I am going to share a little bit about our ski trip to Breckenridge a few weeks ago. 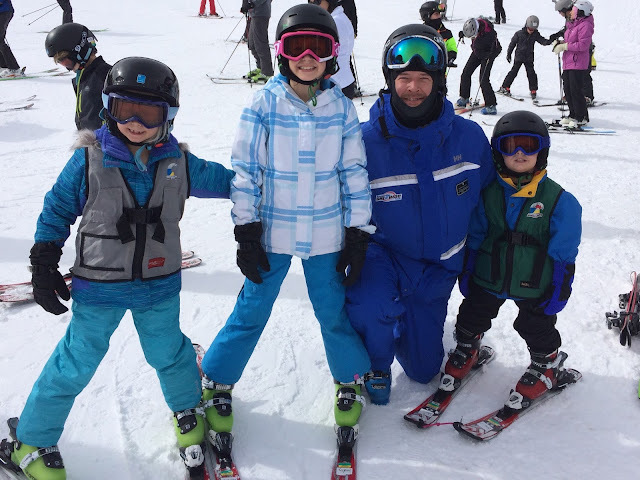 It was the first time we had been skiing as a family of five and we knew that the kids' Winter Break from school would be the perfect opportunity for this type of vacation. I can't believe I'm even going to say this, but it was probably the BEST family vacation we have been on. Everyone had so much fun and Breckenridge was the perfect spot for our trip. 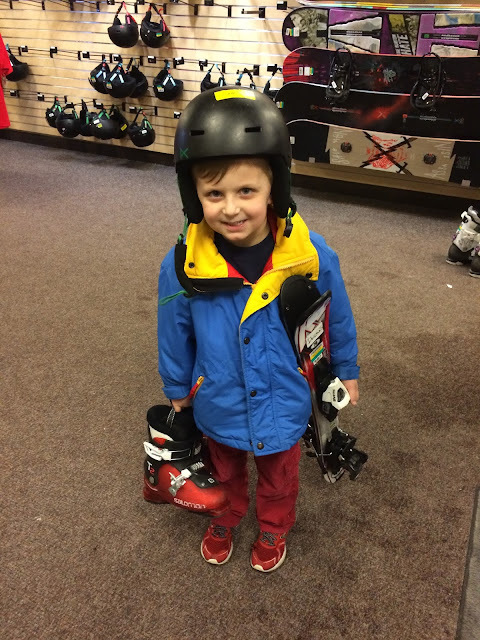 We loved that it was so family friendly great for skiers of all ages and abilities. A little back story, the Mr. LOVES to ski. Like it is one of his very favorite things to do and he goes once a year with friends who also love skiing as much as he does. I do not usually love skiing. I generally enjoy it for a few runs, but I don't like being cold and I always end up with numb fingers and toes. 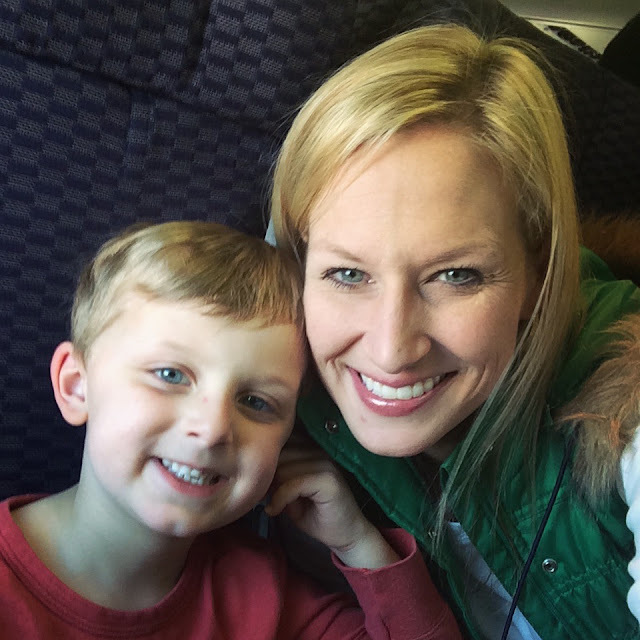 We used to go once a year, but the last time we went and took the kids was when Little Mama was 3 and Blondie was 18 months. Little Mama skied just a bit, but only with the Mr. holding on to her, so we didn't really count it. We've been wanting to take all of the kids for a while now, but wanted to wait until Boo-Boo was old enough for us all to enjoy it. Well, this year was the year and we had been looking forward to this trip for months. 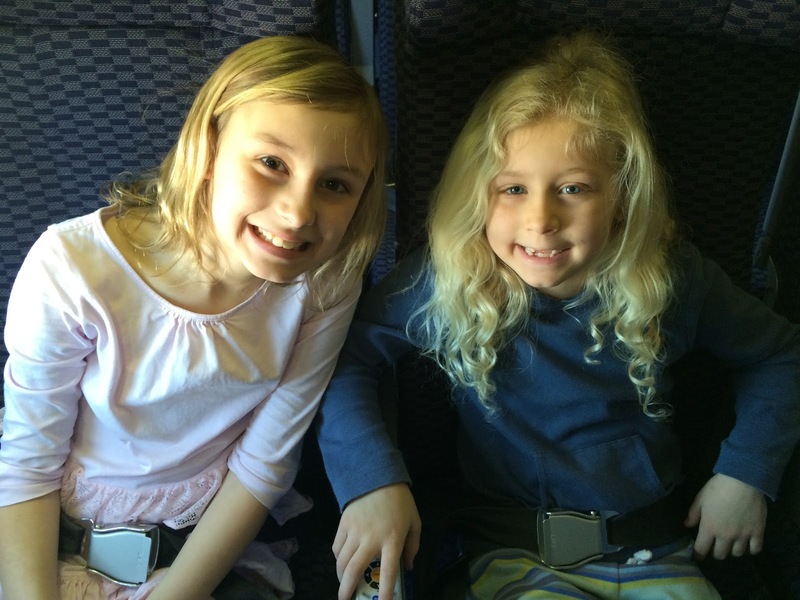 We went with some of our neighbors and their children, so it was going to be a fun trip for everyone! Our kids have only flown a few times and this flight was certainly the longest one in a while, but they were excited for the flight and they did amazing! I bought a few new movies on the iPads and that, along with the snacks and drinks on the plane, kept everyone entertained. We arrived late Saturday night and spend the next day getting acquainted with the area and we also got to sneak in a visit with the Mr.'s brother and his family who live in Colorado. It was at that visit that little miss Blondie lost one of her Ugg boots in waist deep powder snow while the kids were playing outside. I know it sounds crazy and you would think we could have certainly recovered the boot, but we looked and looked with no luck. The snow was so deep that it was just gone. I'm sure someone will find a cute, size 2, teal Ugg boot in the spring win the snow melts. Thankfully I got those boots at a consignment sale for $15, but still. It was the only pair of shoes she had on the trip with us, so a quick trip to Wal-Mart and we had a $7 replacement for her. 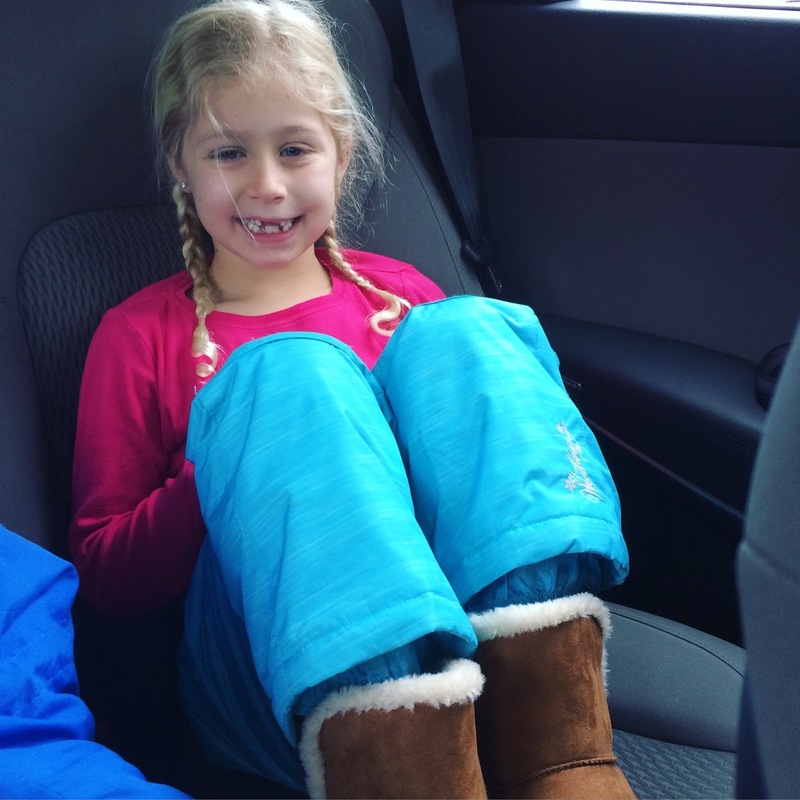 Shortly after that she lost a tooth in the car on the way to check in our condo. Talk about an eventful day for her! After getting settled into our condo and grabbing some groceries for the week, that evening we went to rent our skis. 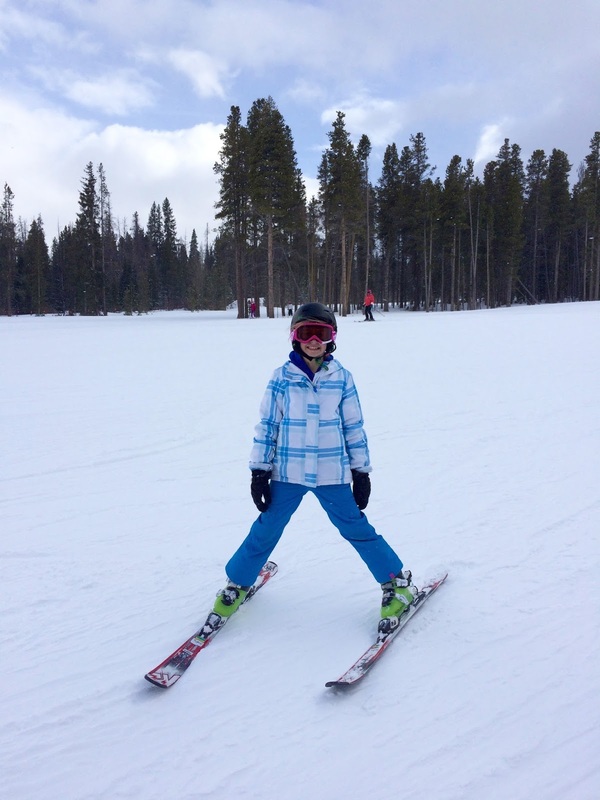 I just could not get over how cute Boo-Boo looked with his teeny-tiny skis. We stayed in a ski-in/ski-out condo so it was only a short walk to the slopes and the the ski village. It's not easy carrying around all of the gear, but everyone were troopers. The next morning was our first day on the slopes and the kids were all excited about getting out on their skis. 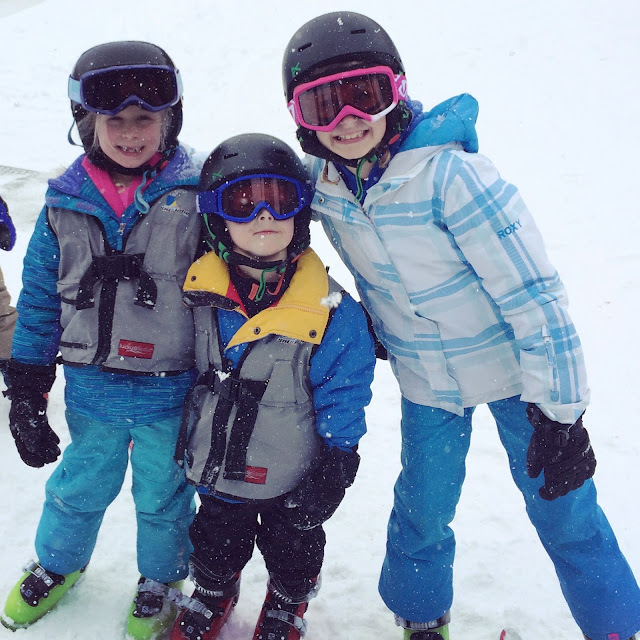 We signed them up for ski school with a private instructor (along with our neighbors who were on the trip with us) and they were looking forward to learning lots! Once they were settled with their instructor, the Mr. and I went off on our way to do a little skiing and get acquainted with the mountain. We met up with the kids and their instructor for lunch and then they were ready to leave the learning hill and head up the mountain to the big green run. We followed them up on the lifts because we were so proud and couldn't wait to see them in action. They couldn't wait to show us what they had learned all morning. They did amazing and we were all so proud. They were like little ducks in a row behind their instructor and followed along with him everywhere he went. 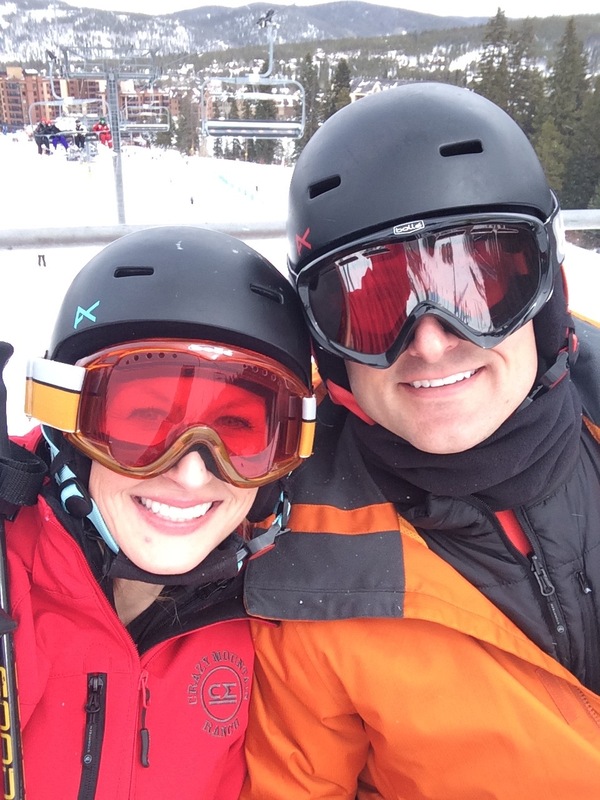 We basically repeated the first day of skiing on day 2 and it couldn't have gone better. 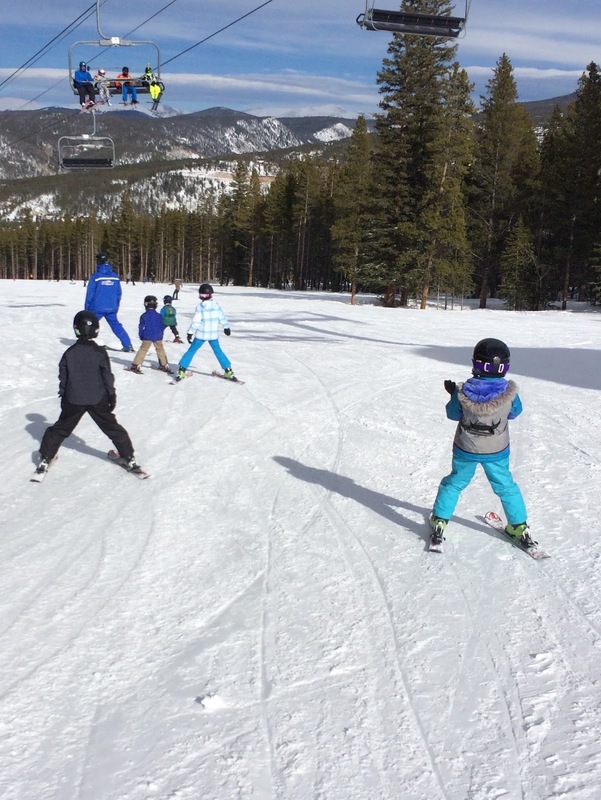 The sun was shining, the kids were happy, and we were SO thankful to their instructor, Chris. He was really great with all of the kids and taught them so much in just two days. It was worth every penny and we would 100% recommend the ski school at Breckenridge. Be sure to check back tomorrow for some more details and pictures from our trip!